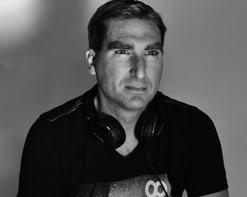 Originally hailing from Australia, DJ Tony Vegas has been erupting in the European music scene from his home in Budapest, Hungary. His early days of multi-instrumentation soon turned to full fledged songwriting and production while also regularly DJing at a variety of local clubs. While he first leaned towards vocal trance and progressive house in his playlists, for the last 2 years his style has been focused on nu disco & chill out in an effort to create a more organic feel with real instruments. In the past 12 months he has unleashed a steady stream of singles, each one progressively surpassing the prior in recognition and accomplishment. Using a compilation of stunning footage shot by KALOEA Surf Bikini, the “Crystal Waves” video is a majestic journey beneath the waves of the gorgeous Australian coast. Surfing and SCUBA diving are on the agenda for these aquatic adventures as they explore the majestic world of sea life, shipwrecks, and water so crystal clear that even at the deepest depths the sandy, pristine ocean floor is visible. DJ Tony Vegas and A. Portsmouth deliver a picture perfect pairing for “Crystal Waves,” with the visual and audio finding a seamless harmony that is bound to lure viewers to the nearest coast for their own journey to the sea. We’re super excited to be working with DJ Tony Vegas, A. Portsmouth, and Baci Recordings to bring you this serene and superb new single. It’s the perfect summertime anthem and we’re confident it will slide perfectly into your programming. Please contact Andy Gesner and the HIP Video Promo team at (732)-613-1779, email us at info@HIPVideoPromo.com. You can also visit www.DJTonyVegas.com or www.BaciRecordings.com for more info on Tony Vegas & A. Portsmouth.